The ACPE webinars on the Continuing Pharmacy Education Standards are designed to provide a working knowledge of the ACPE accreditation process as it relates to continuing pharmacy education, including training and activities on the ACPE Standards for Continuing Pharmacy Education and Policies and Procedures. The webinars are available individually for purchase and are also available as a complete series for one low price of $475 (non-refundable). This includes unlimited access to all 9 ACPE Webinars for one year from date of purchase. To purchase the complete webinar series, please click here to register for an account to complete your transaction! 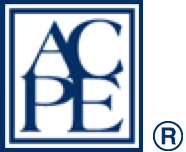 The purpose of ACPE’s Continuing Pharmacy Education (CPE) Self-Assessment Preparation Webinar is to give current ACPE-accredited providers a guide to assist in the compilation of their materials for submitting their self-assessment report for their comprehensive review.